1 Cultural Awakenings: How culture shapes our thoughts and behaviors. 2 Me or We: Recognize the differences between individualism and collectivism, and why it matters. 3 Say What? Explore the nuances of verbal and written expression. 4 What’s Not Being Said: Discover the hidden meanings of non-verbal communication. 5 Now or Later? How perceptions of time can warp across cultures. 6 Respect, Rank & Ritual: The implications of formality at work and in everyday life. 7 Core Values: Taking your cultural awareness to the next level. The essential primer for working, living and thriving in today’s increasingly multicultural marketplaces and communities. In an era when people, money and information are flowing faster than ever across international boundaries, we are all just one step away from a culture crash. It’s a phenomenon that occurs when someone from one culture unintentionally confuses, or offends someone from another culture. Today, culture crashes often occur on our home turf, where our workplaces and communities are diversifying at astonishing rates. 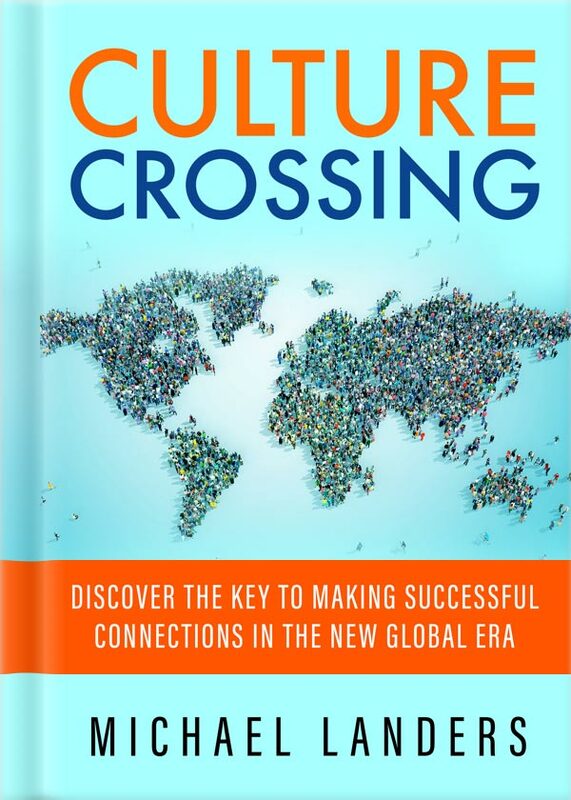 In this book, global business consultant Michael Landers offers a proven strategy for minimizing culture crashes in order to maximize our ability to seize new opportunities and build strong, profitable connections with people from any culture. This methodology is one that has demonstrated success over the past two decades with individuals from leading Fortune 500 companies, non-profit organizations and educational institutions in the U.S. and around the world. Readers embark on a journey of self-discovery in which they will discover profound ways that culture influences us, unconsciously shaping our perceptions, expectations and behaviors. This heightened self-awareness becomes the springboard from which readers will learn how to take control of the kneejerk reactions that get us into trouble, and develop the agility to adjust our behaviors in ways that can vastly improve all of our physical and virtual interactions with people from diverse backgrounds. Through a mix of entertaining and instructive stories, valuable insights and eye-opening self-assessment exercises, Culture Crossing is an essential primer for working, living and thriving in the new global era. The most powerful influence on attitude and behavior is one’s culture – and this book shows you how to be more effective with more people from different cultures. I wish I had this book sooner! Between working abroad in India and starting a company in NYC, I’ve found myself in so many situations where I didn’t know what the cultural norm was, and I know this book would have helped me adjust to otherwise unfamiliar situations much more quickly. I can’t wait to apply the lessons I’ve learned from Culture Crossing to situations I know I’ll find myself in in the future. Michael is one in a million. He combines a rare and deep understanding of global cultural issues with humor to create awareness on one of the most important topics of our era. His stories and teachings have been invaluable for us at SAP Academy, as we have trained hundreds of millennials from over 50 countries in our global training facility. If you If you serve in any organization or role in which you work with people from different cultures, run, don’t walk, to read this book. Understanding culture is the key to creating and maintaining successful relationships in this increasingly global world. This book is a must-read for those just entering the workforce to the leaders of top companies. Drawing upon his own extensive international experience, Michael has created an indispensable tool for anyone who interacts with people from other cultures. (And who among us doesn’t?!) Michael’s insights, told in an easy-to-follow style and illustrated with eye-opening anecdotes, will help so many global citizens open up their minds and better understand each other — more easily accomplishing their mutual objectives. Luciana Duarte - Global Head of Employee Communications, Engagement and Culture, HP Inc. The most profound reality we face as marketers is the multicultural fractionalization of our marketplace. We are perplexed by this so we continue to talk in our own voice rather than learning how to listen to these diverse voices with an empathy that is agile and truly customer centric. Michael Landers has changed the way our people think and act with his method and teaching. Miscommunications are occurring all the time, although we are often barely aware that culture is the culprit. In his talks, Michael Landers leads audience members on a journey of self discovery in which they begin to uncover the many ways that their own culture shapes their perceptions and behaviors. In turn, this increased awareness enables them to establish more productive, profitable and peaceful connections with people from all walks of life — and from all corners of the world. Open the door to new opportunities, more positive interactions, and greater prosperity in all facets of your life.